Our friendly customer service representatives are committed to answering all your questions and meeting any need you may have. We would love to hear from you! Please fill out the form below so we may assist you. 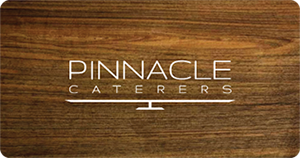 Pinnacle Caterers is one of the premier full service catering companies in the greater Toronto area. We have been providing culinary excellence and distinctive service for over thirty years. Designed, Hosted and Maintained by: Nailing It Inc.